At Ysgol Bryn Hedydd we have a vision to transform teaching and learning which will equip all learners with the skills needed to live, learn and work in the 21st Century. Our primary function is to create an environment that stimulates lifelong learners, making full use of opportunities presented by thoughtless, seamless technology. This will create a generation of learners who are creative, independent, resourceful thinkers able to adapt to all situations. To do this, we have a digital curriculum with ICT being integral in all aspects of the curriculum. Teachers carefully plan how to use a variety of technological devices with children to improve their Literacy and Numeracy skills and raised standards of achievement for all Learners. Digital competence is the set of skills, knowledge and attitudes that enable the confident, creative and critical use of technologies and systems. It is essential for learners if they are to be informed, capable and have the potential to be successful in today’s society. Digital competence should not be confused with information and communication technology (ICT). Digital competence is one of three cross-curricular responsibilities, alongside literacy and numeracy; it focuses on developing digital skills which can be applied to a wide range of subjects and scenarios that are transferrable to the world of work. However, it is not intended that digital competence should be artificially imposed into all subject areas. The DCF therefore includes examples of classroom task ideas that can be used to develop skills in naturally occurring, meaningful ways. 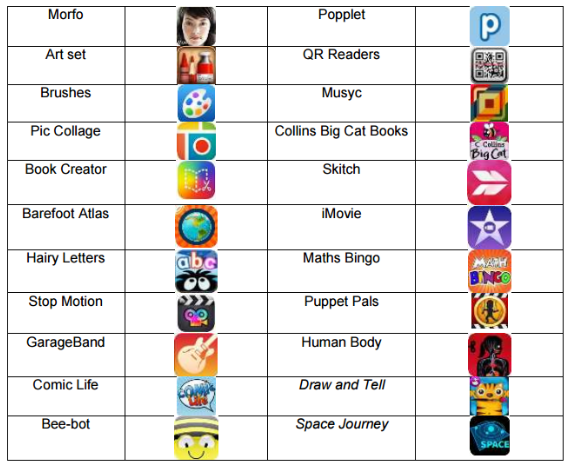 What educational apps can I download at home? Stop Plastic Pollution - Year 6 Ysgol Bryn Hedydd. #ItStartsWithMe campaign! It Starts With Me. Be Plastic Free. Year 6 pupils have put together a short film to help put a stop to plastic. We have been learning about our environment and how plastic is having a negative impact. Please feel free to share the message.